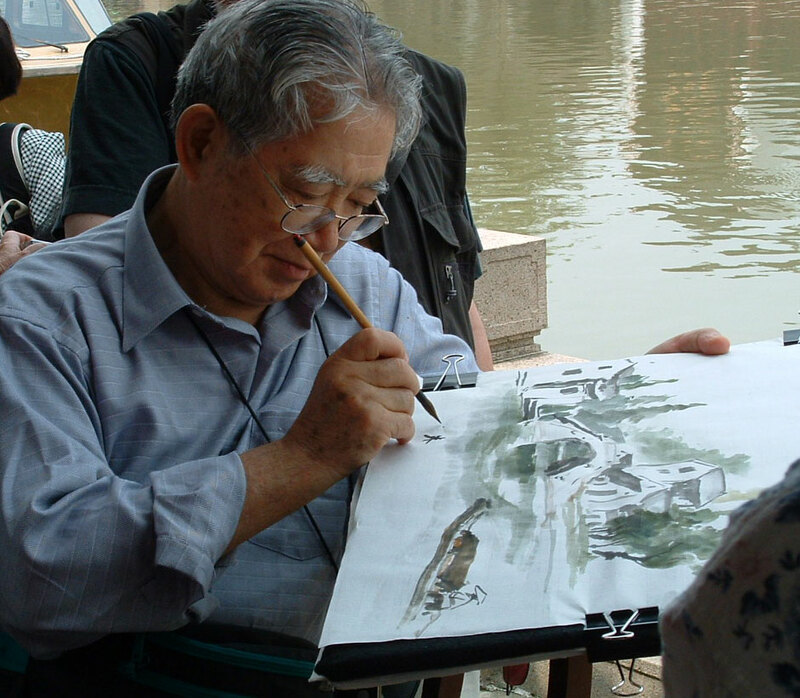 I-Hsiung Ju, Chinese Brush Painting Master, was my mentor from 1986 until his death in 2012. He shared his skills and his wisdom tirelessly with students in China, the Philippines, Taiwan and the United States. 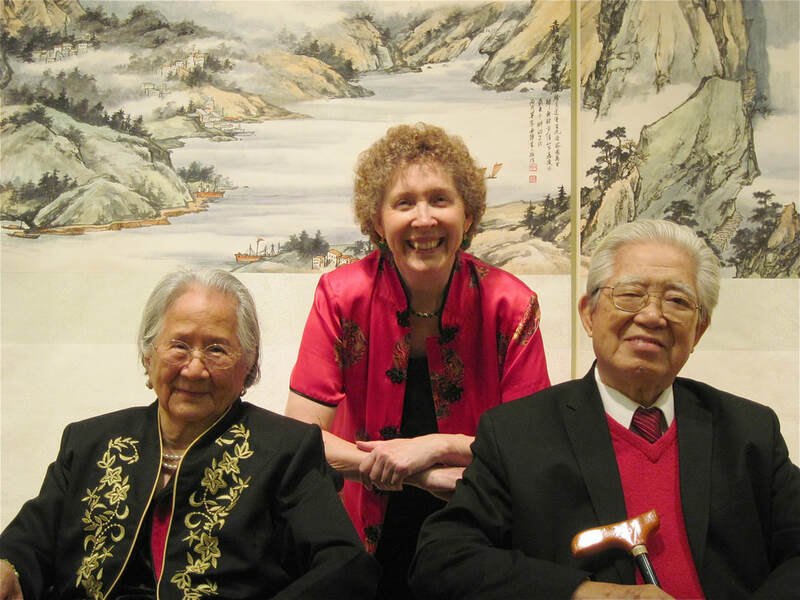 I-Hsiung Ju, Emeritus Professor of Art of Washington and Lee University in Lexington, VA, passed away on March 17, 2012. He is considered by many to be one of the few Chinese artists able to blend two worlds of style, technique, and idiom to produce a unique form of painting that is both modern and traditionally Oriental. According to Prof. Ju, "a Chinese artist is not only a painter, but also a poet and a philosopher." An author of several painting textbooks and numerous papers on Chinese art, he loved teaching the art of painting. A poet and philosopher, his paintings are lessons in living and appreciation of nature. Prof. Ju was born in Jiangyin, Jiangsu, China, in 1923. He graduated from the National University of Amoy in 1947 and received his B.A. degree in Chinese art and literature. Because of the war in China, he went to the Philippines to teach and also to continue his studies, receiving his B.F.A. in painting in 1951 and M.A. in history in 1968 from the University of Santo Tomas in Manila. While in the Philippines, he was a prize winner in graphic art, oil painting, and Nanga works in various countries, and held many one-man shows in Australia, Canada, China, England, Hong Kong, Japan, and the Philippines. In 1969, he was hired to be the Artist-in-Residence at Washington and Lee University in Lexington, VA. In 1970, he received tenure as Professor of Art and was selected Professor of the Year for 1971 by the Ring-tum Phi, the Washington and Lee University newspaper. He was awarded the Best Art Educator of the Year for 1974 by the Chinese National Writers’ and Artists' Association in Taipei, Taiwan, and Distinguished Artist of the Year of 1978 by the National Museum of History of the Republic of China. In 1996, Prof. Ju was presented the Outstanding Achievement in the Field of Art Award by the Philippine Chinese Association of America. In 1974 he created the “Art in Taiwan” program at Washington & Lee University. 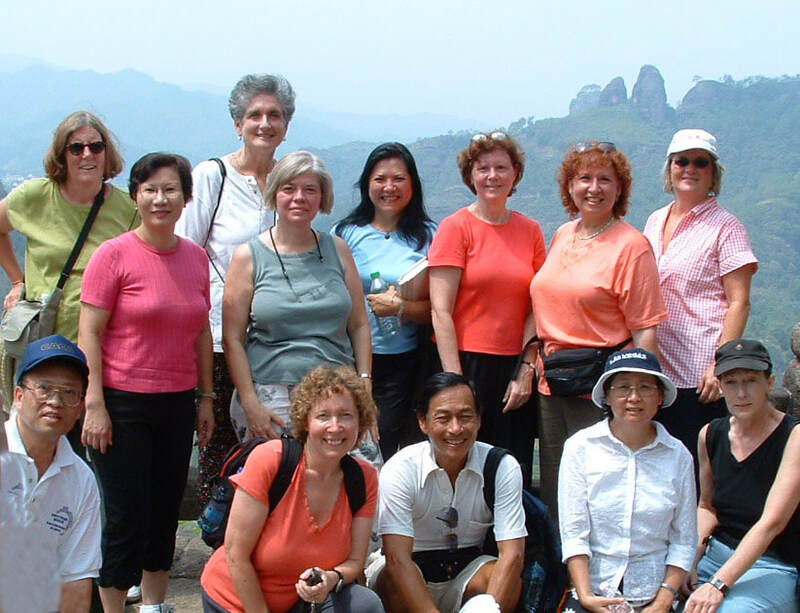 Every two years, he led groups of students to spend six weeks experiencing the beauty of the island, local food, culture, and learning Chinese art from famous artists. 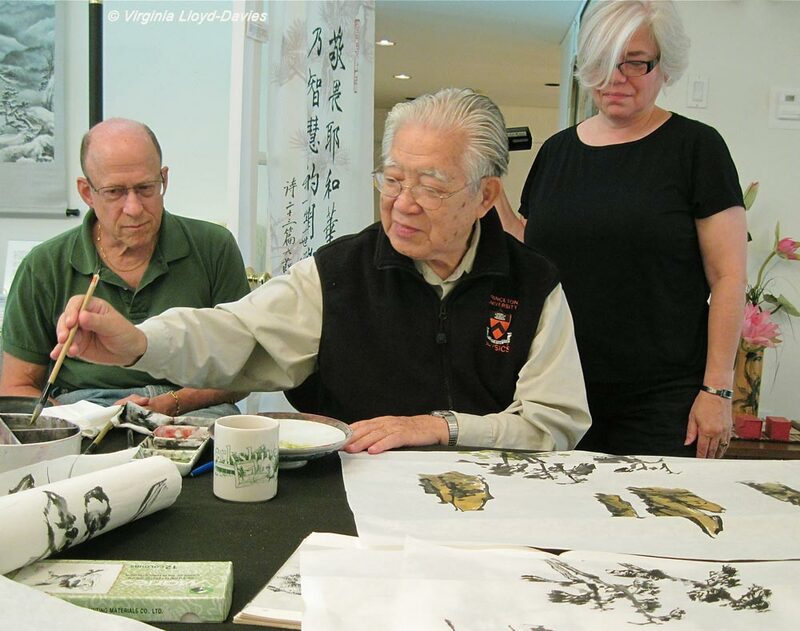 In 1975 Prof. Ju also established the Art Farm Gallery in Lexington, VA where he conducted Chinese brush painting workshops and presented art exhibitions featuring young rising artists until 1999. Prof. Ju retired from Washington and Lee University in 1989 and was honored by the board as Professor Emeritus of Art. He continued to teach Chinese brush painting through correspondence courses and workshops, to give lectures and painting demonstrations, and to exhibit his paintings. In 2002, he relocated his painting studio and home to Princeton, NJ where he continued to exhibit his Chinese calligraphy, brush paintings, and oil and acrylic paintings at his art gallery. He gave lectures and demonstrations to various groups in Princeton including the docents at Princeton University Art Museum, the Old Guard at Princeton University, Women’s College Club of Princeton, and the AARP Princeton Chapter. In 2004 he held a one-man art show in Wuxi, China; in 2006 he took his students from the U.S. to Jiangyin, China, for a painting workshop with local artists, and had a one-man show at the University of Oregon Art Gallery and conducted a painting workshop at Eugene, Oregon. In 2007 Prof. Ju arranged for some of his students from the United States to attend five days of Master Painting Classes at the National Taiwan University of Arts in Taipei, Taiwan, with well-known painters, learning flowers, birds, and landscapes. On his 85th birthday, Prof. Ju’s “85 Retrospective Exhibit” opened at the International Art Gallery of the National Taiwan University of Arts, showing 65 years of art works from 1942 (a woodcut print, the oldest surviving art work that could be located) to the present (including his 16 brush painting panels of the Yangtze River, from its source in Qinghai Province to its mouth in Shanghai, going eastward to the East China Sea). In 2007 he took his sketch pad of rice paper, brush and ink along while visiting Paris and Morocco. In the States he continued to give correspondence painting courses, hold private painting classes at his NJ studio and winter home in Florida, and conduct group workshops at Sumi-e Society chapters in Florida and Virginia. In 2009 he published a book containing memories of his life in China and the Philippines, and the thirty-three years of life at his beloved Art Farm in Lexington, VA, where art and artists were cultivated. In September 2010, he exhibited his new 20-panel Huangshan landscape paintings at Jiangnan University in Wuxi, China. In January 2011, his brush paintings were on exhibit at the Lyndon Arts Center in Athens, GA, and also at the Cape Coral-Lee County Public Library Art Gallery in Cape Coral, Florida. In October 2011, he exhibited his Yangtze series and his Huangshan series at the Staniar Gallery at Washington & Lee University.